1. Check the fence at least twice a year. Twice a year you will want to inspect your fence, to check for any damage that could cause further harm to the fence. Be sure to inspect the whole fence, not missing out any panels. Give each post a wiggle to see if it is still secure. 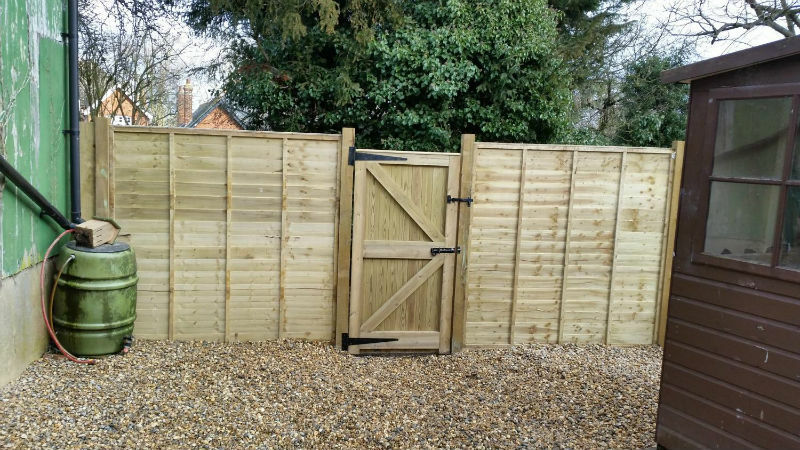 Most fences fail at ground level, usually the posts rot and the wind breaks them. 2. Fix any defects as soon as you locate them. This is very important if you have pets or young children. If there is any damage to the fence, be sure to repair it as soon as possible as if it is left, it can become a hazard. But even if you don’t, it is still important to do this to keep the integrity of the fence. It is easier AND CHEAPER to fix a standing fence than one that has fallen and possibly broken more sections. 3. Don’t plant trees and shrubs too close to the fence. It is important not to plant trees or shrubs too close to a fence because in some weather conditions it is likely that branches might fall and potentially harm the fence. Roots can also lift panels and posts. 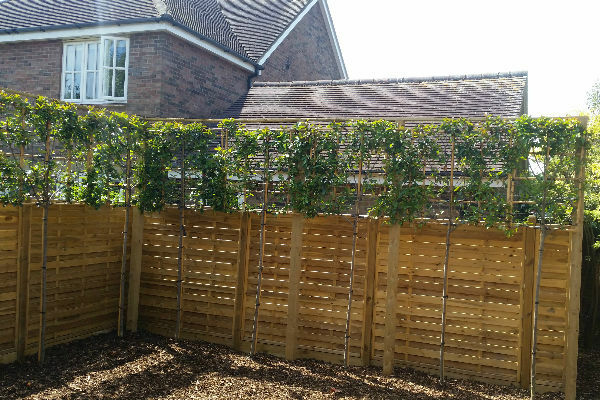 In addition, it also becomes very difficult fixing any problems with the fence, as you have to work around the roots and bushes, sometimes requiring you to chop the tree or bushes down. To preserve your fence, make sure to paint it once every other year, sometimes even yearly depending on your weather conditions, how exposed you are and the paint you use. You can apply various paints depending on the colour, longevity and what it has been treated with before. Check the label; some are not so friendly for children, wildlife and plants. You can apply with a brush, spray or roller. Note: some paint can run down the opposite side of the fence if you have lap panels and be unsightly for your neighbours ( have a chat beforehand). Brushing on gives a good coating and you can work it into the grain and gaps but takes time and can make your arms ache ( better than time in a gym maybe?). Rollers are tricky unless you have large flat areas. Spray is quick but be careful of the following; It goes on thin and may need more coats, over-spray can be unpredictable if it’s windy, some paint may contaminate ponds or burn you in hot weather, wear a mask, not all paints can be applied this way – if you have slot-in concrete posts, it may be easier to remove the panels – paint them, then refit! 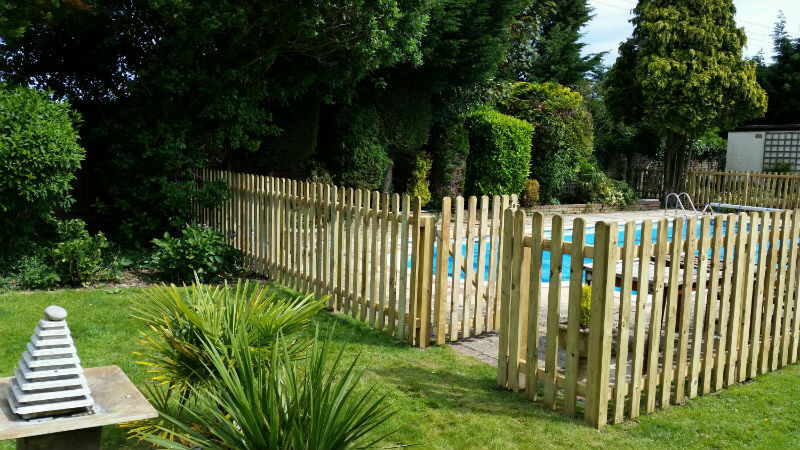 Greenman Landscapes specialises in supplying and installing all types of fencing, including Closeboard Fencing which is very popular in Saffron Walden. 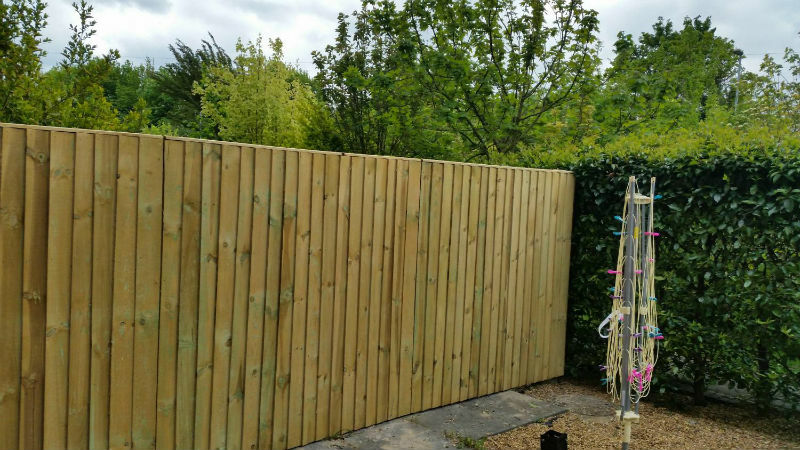 If you follow these easy steps to maintaining your fence, your fence should stay functional and pleasing to the eye for a long time as well as keeping you, your family, your pets safe and secure within the garden.